We are very proud of the 38 projects competing for global recognition. Please help us to spread the word! Is Toomer's Corner Being Rolled Right Now? 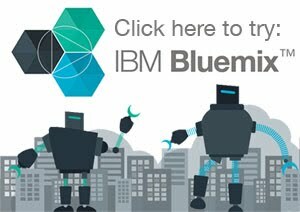 Use Bluemix for Your Hacks! Build Awesome Mobile and IoT Applications! IBM is offering Datafest participants a free trial use for 90 days of Bluemix development platform. Bluemix has a rich set of APIs for developing mobile and/or web applications using Internet-of-Things, Mobile platform, Analytics, Databases and Watson Cognitive APIs. Within the Bluemix platform, developers will find a range of open source and third-party languages like Node.js, Ruby on Rails, Java, PHP, Python etc. Click on the picture to go to the Bluemix site (opens in a new window).